POCUS Evidence Atlas - procedure central line confirmation. EBM review and resource of POCUS for procedures. Sensitivity Specificity positive and negative likelihood ratios. This was a prospective study (n=78) in critically ill patients in the emergency department (ED) and intensive care unit (ICU) at a single academic center, evaluating the use of POCUS to identify correct placement of supra-diaphragmatic central venous catheter (CVC) placement. All CVC placements and POCUS exams were performed by resident trainees. 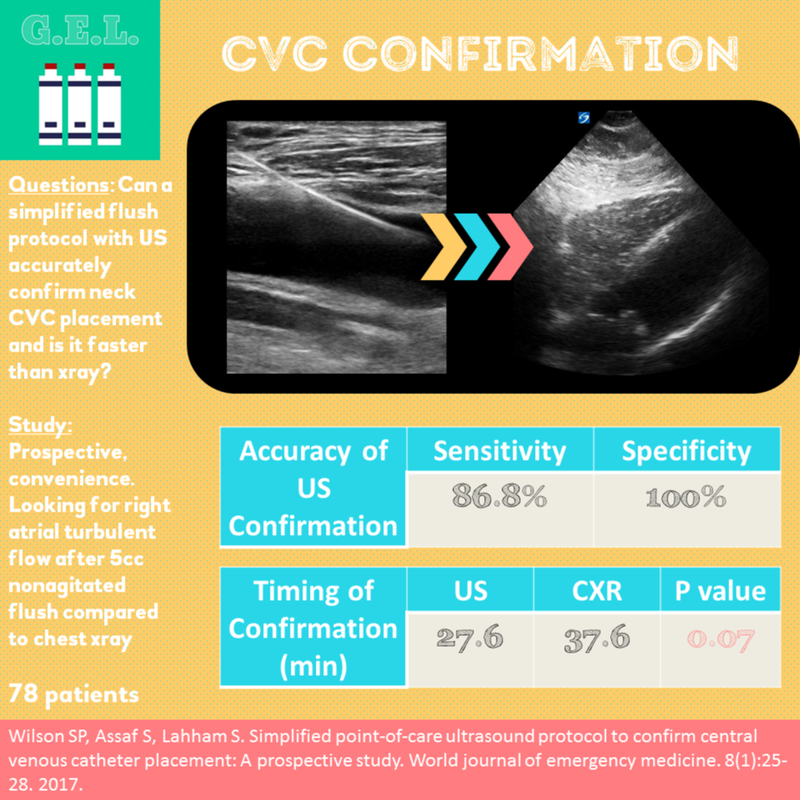 Correct positioning of the CVC was considered if turbulent flow was visualized in the right atrium on sub-xiphoid, parasternal, or apical cardiac ultrasound after injecting 5 cc of sterile, non-agitated, normal saline through the CVC. Reference standard was confirmatory chest radiography.